Daniela Ulbing of Austria competes during the Ladies' Snowboard Parallel Giant Slalom 1/8 Final on day fifteen of the PyeongChang 2018 Winter Olympic Games at Phoenix Snow Park on Feb. 24, 2018, in South Korea. 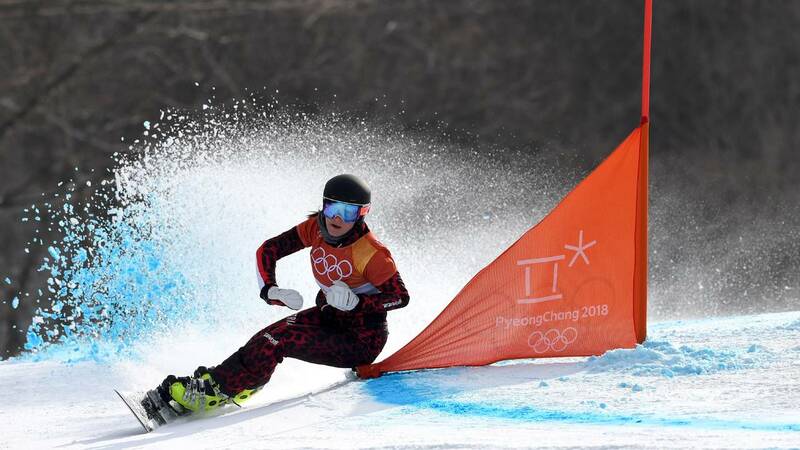 Austrian snowboarder Daniela Ulbing narrowly avoided killing a squirrel -- and her Olympic dreams -- during the parallel giant slalom event Saturday in Pyeongchang. NBC Olympics shared the moment the animal escaped death by a whisker. Ulbing went on to win the event.